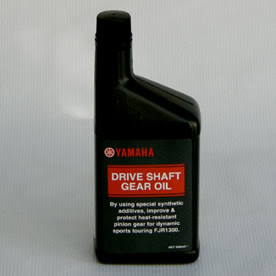 FJR Final drive oil, shaft gear oil also known as SOL DRIVE SHAFT GEAR oil is specially formulated for the Yamaha FJR1300. This is an anti foaming oil designed for prolonged high speed applications. By using special synthetic additives we have improved and protected the heat-resistant pinion gear. Comes in a 500 ml bottle it should be used at regular service intervals.